Hot tubs accommodate from 2 to 8 people. But small and large models are rare. Most popular hot tubs seat from 6 to 7 people. Seating is impacted by your intended use. If you have a family or intend to use the tub to entertain guests, consider models that offer more seating. If it’s just you and one other person, less seating is ideal. The number of jets increases proportional to the seating, with an average of about seven hydrotherapy jets per seat. Smaller tubs seat 2 to 3 people and will have between 14 and 31 spa jets. Models that seat 6 to 8 people come with 35 to 74 jets. Hot tubs have been shown to alleviate pain and discomfort, including lower back pain and arthritis. They can also help regulate plasma glucose and glycosylated hemoglobin for those with diabetes. If you intend on using the hot tub for hydrotherapy, look for models that offer the greatest number of jets. Also be aware that most jets vary by size, pressure, and configuration. Each is designed to target a different area of the body. So it’s a good idea to take a test soak before purchase to ensure the model you’re considering meets your specific needs. Small hot tubs seat 1 to 2 people and hold approximately 100 gallons of water. A mid-range, 7-by-7-foot tub is more common. It typically seats 4 to 6 people and holds about 500 gallons of water. The largest models seat nine or more and hold approximately 500 to 1,000 gallons. Regardless of dimensions, most tub depths are usually in the 3-foot range. 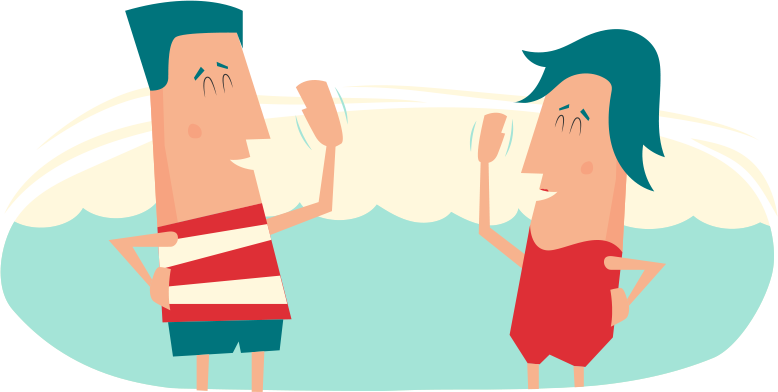 Though seating is designed for a specific number of bathers, the number of people who can share a hot tub isn’t fixed. In general however, you’ll often find that filling a hot tub to its rated capacity results in a lack of foot space. Square-shaped tubs lead the market in terms of selection, but hot tubs and spas are also available in round, oval, rectangular, and triangular shapes. Dimensions and overall size may also affect installation, especially when incorporating the hot tub into an existing deck or similar structure. Factor in the total weight of the unit (when filled) and ensure the framing is capable of supporting a design load of at least 101 pounds per square foot. It’s worth noting that many municipalities require an engineered design when building a hot tub into an elevated structure. Rely on your dealer for the best advice and tips on proper installation. Hot tub prices vary depending on the size, features, and level of dealer support. It’s worth noting that there is a huge difference in the quality and post-sale support you’ll receive between a hot tub you purchase through a big box retailer or membership warehouse and the one you purchase through a professional hot tub dealer. Dealer-supported models are simply built better. They include more insulation, better plumbing connections, tighter seals and welding, and stronger shells that are more resistant to damage. This increase in quality can lower operating costs (especially when used in colder climates) and reduce the frequency and expense associated with repairs. As a result, the hot tubs you’ll find at a dealer will often be between 30% and 50% more expensive than standard commercial models. *The lower end of the price range is reserved for above-ground hot tubs. In-ground tubs start at $6,000 for the smallest models and can cost as much as $20,000 for top-tier models. Don’t forget to budget for shipping and installation, sanitation, upkeep, and the energy it will take to power your hot tub or spa. Most significantly, the cheaper model – incorporating far less insulation – will cost $100 or more per month in electricity to heat compared to the quality model, costing only around $25 to $35 per month. This negates the cost savings of the $4,000 model, as you’ll quickly catch up to the $7,000 unit through energy consumption in less than three years… and still be paying $100+ per month after that. Most generic tubs only include a 1-year manufacturer warranty. This is in comparison to a spa with a slightly higher up-front price tag that typically comes backed by a 10-year warranty. Hot tubs include features and technology that range from basic to luxurious. The model that’s right for your home depends on how you plan to use the tub—and how often. If your goal is an occasional getaway in the backyard, you probably don’t need to spend extra on fancy upgrades. Instead, focus on the essential features for comfort and efficiency like water purification and jet options. If you have a large family or plan to spend a lot of time in your spa, a high-end model may be worth the investment. Top-tier hot tubs may have digital lighting and sound systems, cover lifters, and custom-built cabinets, in addition to all the standard features you’ll find in traditional spas. Let’s take a quick look at some of the features reported to have the greatest impact on the enjoyment, functionality, and convenience of a hot tub. Hot tubs can support the growth of bacteria, viruses, and fungi if left untreated. Mycobacteria, E. coli, and pseudomonas aeruginosa are a primary concern, as are bacterial and fungal infections, even including herpes. For this reason, it’s important to regularly treat your tub with one of the following methods. Salt system - This saltwater-based purifier uses a low electric current to produce chlorine out of a sodium chloride (salt) additive. Once cost-prohibitive, this system is now growing in popularity due to its eco-friendly nature. Easy to install, most kits include a plug-in salt additive that automatically adds salt to the water. Depending on the size and other configurations, systems can cost between $170 and $1,300, with refill boxes of salt for about $16. Ozone system - An ozone purifier is not actually a standalone system. It’s paired with another type of purification system, like a salt- or UV-based purifier. It is highly effective at breaking down things like deodorant, cologne and perfume, hair products, lotions, saliva, and urine. In doing so, it reportedly saves up to 25% on the use of chemicals or other additives used by your primary purification system. A hot tub ozone purifier will cost between $140 and $300. UVC system - UVC uses ultraviolet light rays to interact with bacteria in a way that renders it incapable of reproduction and growth. The UV ray alters or disrupts the DNA or RNA of specific bacteria and other organisms. It also destroys the organic matter often found in hot tubs such as skin, saliva, and urine. Installed within the piping of the tub’s circulation system, the UV light bombards the water flow as it passes through. It’s reportedly effective against more than 60 waterborne pathogens. UVC purifiers run $200 to $400 for the system and $85 to $125 per UV bulb (which typically has to be replaced annually). This is one of the most frequently replaced components of a hot tub, and for good reason: filters trap the crud and contaminants that lead to bacterial growth and cause the water to feel “scummy” and oily if left untreated. Premium media - High-grade polyester filtration media filters up to 30% better than standard media. Antimicrobial end caps - Prevents the growth of mold and mildew on the ends of the filter. Antimicrobial filtration media - Upgrades filtration media to inhibit the growth of bacteria, reducing odor and extending the life of the filter. Depending on size and media type, most filters will cost you between $16 and $27. Rotary jets - Provides targeted relaxation through a spinning, powerful stream of water that massages specific body parts. Relaxation jets - Delivers either high- or low-impact therapeutic massage through a swirling design that relaxes fatigued muscles and relieves pain. Jets can be used for general relaxation or specific acupressure therapy. Pressure point jets - Provides deep tissue massage for targeted points on the body, typically centered on shoulders, neck, back, calves, and feet. These jets are often used for general relaxation as well as relief from arthritis and muscle injuries. Many models can be customized to include a combination of these jets. So be sure to ask your dealer about jet options before purchase. Additional or replacement jets cost between $17 and $36 each. Covers are essential for keeping your hot tub free of leaves and other debris while retaining heat when not in use. Covers - Featuring fiberglass construction, hot tub covers are available in a wide range of colors to match your decking, shell, or cabinet. They often feature industrial-grade foam insulation to seal in heat. Quality models may include a breathable underside that helps prevent the formation of mold and mildew. Though some dealers may offer a package deal that includes a hot tub cover, most are sold separately. Expect to pay between $140 and $470 depending on dimensions and quality. Lifters - Hot tub covers can weigh between 50 and 75 pounds depending on size and quality. That’s a lot of weight to heft back and forth. Cover lifters provide an easy removal system that typically includes pneumatic pistons or gas shocks. This design easily lifts or replaces the cover, storing it to the side while the tub is in use. Space may be an issue with some designs, but many lifters can operate with only 6 to 14 inches of clearance. Average cover lifters cost between $109 and $270. These are two of the most common accessories for dressing up a hot tub. Also known as “entertainment packages,” they elevate the experience with components that can be operated by remote or via the tub’s control panel. Lighting - Typically UL-rated and 120-volt, hot tub lighting is often the product of LED technology – popular for its ability to keep operating costs to a minimum. Some lighting packages offer bright, colorful lights that can be programmed to change hue. Others are more functional, offering lighting within the spa for enhanced safety or around the exterior of the skirt. You can expect to pay $150 to $160 per fixture and $30 per replacement bulb. Sound - With the transition to digital and streaming music, stereo components are growing in popularity among hot tub buyers. Most dealers offer it as an optional upgrade, if not included as standard, and many tubs now come with waterproof speakers and subwoofers. For the highest range of compatibility with your home entertainment system and mobile devices, look for systems that offer Bluetooth and Wi-Fi compatibility. Bluetooth and Wi-Fi hot tub sound packages can be purchased for $200 to $440. Hot tub cabinets dress up the exterior of the tub and provide a tailored, finished look that can often be customized to match your current decking or landscaping theme. Leading manufacturers offer a range of different styles, including those that mimic natural wood finishes and even layered stone. The best hot tub cabinets are constructed from reinforced, treated lumber. This not only supports the weight of the tub but also resists mold, mildew, and rot. Most high-end hot tub cabinets cost between $700 and $2,000, with an extensive selection in the $800 to $900 range. A shell is the main body of the hot tub you select. It also serves to reinforce installation below decking and paved surfaces, as well as above-ground or in-ground landscapes. Top models feature an acrylic surface that is both stain- and scratch-resistant. Also available in a wide range of colors, shells can be customized to easily match the surrounding area. Cost will vary depending on the size of your hot tub. But in general, expect to pay between $1,800 and $3,900 for customized shells. Sea Pillow - Typically UL-rated and 120-volt, hot tub lighting is often the product of LED technology – popular for its ability to keep operating costs to a minimum. Some lighting packages offer bright, colorful lights that can be programmed to change hue. Others are more functional, offering lighting within the spa for enhanced safety or around the exterior of the skirt. You can expect to pay $150 to $160 per fixture and $30 per replacement bulb. Hot tubs soothe tired muscles after a long day sitting at your desk or commuting through rush-hour traffic. They’re also a great way to entertain family and friends on special occasions or during the Sunday game. The more, the merrier. If entertainment is your focus, you’d do well to consider a tub with seating for between 6 and 8 people. Optional cup holders, lights, and sound packages are also great for enhancing fun. Jets provide recovery from injuries as well as temporary relief from arthritis and other joint pain through an increase in blood flow and a reduction in blood pressure. As hydrotherapy jets target problem areas, muscles relax around inflamed joints, facilitating the removal of lactic acid from injured muscles while promoting the release of endorphins. If recovery and pain relief are important to you, look for a hot tub that offers at least seven hydrotherapy jets per seat. Pressure point jets and rotary jets may come standard. If not, these are worthwhile upgrades for this application. Ideal for low-impact exercise in a reduced-weight environment, hot tubs offer an excellent source of cardio and strength training. With optional accessories that include rowing machines and training bands, many tubs from leading manufacturers can be converted into an aerobic exercise spa that develops your shoulders, arms, legs, and core. If fitness and relaxation are your primary goals, you can achieve both with a small tub that offers seating for 2 to 3 people and 14 to 30 hydrotherapy jets. Take a few minutes to review some of the latest developments within the hot tub industry to ensure you’re getting a tub that will last you for years to come. This is an area of personal responsibility that has developed in recent years. While every effort should be taken to prevent young children from playing on or around the tub without adult supervision, some sources (The Red Cross among them) also recommend that children under 5 years of age not be allowed into a hot tub due to the high temperature and their body’s inability to cope with it. The Association of Pool & Spa Professionals also recommends that children who are big enough to use a hot tub do so for no more than five minutes at a time. Jump seats can be purchased (if not built into the shell) to elevate their bodies higher in the tub, preventing full-body immersion. Automated water treatment systems monitor the effectiveness of your sanitization and filtration system, including saltwater systems, chlorine, bromine, and ozone generators. Popular for saving you from having to manually care for the condition of the tub’s water, the best systems are fully automated. They include meters and feed pumps that dispense liquid chemicals to maintain the proper water balance and prevent spikes in water levels. This leaves the water feeling soft and silky, as well as odor-free. Among leading systems, the only maintenance required is a weekly refilling of sanitizers and annual changing of the filter. Yep, there’s an app for that too! Major brands now offer remote control over many of the functionalities of your hot tub via mobile app. You can turn the heater on before leaving the office and have the tub heated to temperature by the time you arrive home. Other controllable functions include pumps, lights, blower, and filter cycles. Remote monitoring allows you to keep tabs on the temperature and humidity levels within the tub as well as its surrounding environment. Especially useful in colder climates, heat can be adjusted to maintain an even temperature or shut off completely to save on unwanted energy costs. Plus, these capabilities can often be integrated into a home automation system, rolling all features into a single control platform. Commonly available for both Android and Mac, most hot tubs can be accessed via mobile app on any 3G or 4G network, and through any Wi-Fi hot spot or network..
Take relaxation up a notch with aromatherapy. Hot tub scents create a rich, soothing atmosphere through a variety of fragrances that include herbal, coconut, spring flowers, rain, forest, tranquility, and cherry blossom, among many others. Aromatherapy that’s designed for use with hot tubs should provide a scent that masks chemical odors without foaming or affecting the tub’s PH Level or chemistry. Look for those that are proven safe for use with all acrylic surfaces, motors, and jets. They should also be water-soluble and alcohol-free. Warranties run the gamut when it comes to hot tubs. Some manufacturers only offer 2-year coverage on specific parts while others provide a 20-year limited warranty. Generally speaking, the more you pay for the tub upfront, the better the warranty will be – but not always. So take the time to compare dealers and their products by the post-sale support they offer. Another important aspect of support is the service level agreement (SLA). Though far less inclusive than other agreements, a hot tub SLA should list any service intervals required (if completed by a dealer), as well as costs associated with replacement parts and service calls. Your hot tub SLA will should include technician response time and whether the tech completing the service is a direct representative of the dealer or a third-party contractor. Give preference to dealers that provide their own service. These individuals often have more experience and knowledge related to your specific product line, as opposed to a third-party tech that usually has to service a wide range of manufacturers. While many hot tubs feature similar overall designs, they also include unique benefits and technology that separate them from competing brands. Start your search by comparing hot tubs produced by the following top manufacturers. Offering three unique series – Utopia, Paradise, and Vacanza – as well as 13 different hot tubs, Caldera Spas provides one of the widest selections of mid-range spas that seat 6 to 7 people and come equipped with 35 to 47 jets. Their spas feature the proprietary FiberCor insulation, an enhancement that is applied at a 2-lb density – four times as dense as standard urethane foam insulation (when applied at ½-lb. density). Models also include the Foot Ridge design, an anchor point that keeps you comfortably in place while sitting. With more than 300 outlets in 30 countries, Master Spas is one of the world’s leading manufacturers of hot tubs and spas. Their products have received the “best buy” award from Consumers Digest for the combination of technology and value they provide. 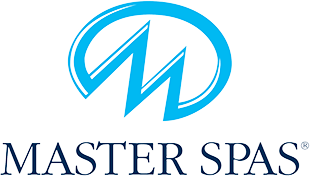 Master Spas offers four distinct series (Michael Phelps Legend, Twilight, Healthy Living, and Clarity) and more than 30 unique hot tubs in all. With seating designs for 2 to 9 people, models are also broken down by function. Top-tier models offer luxury add-ons that include sound systems, built-in Wi-Fi and Bluetooth, and illuminated jets. Offering three unique series (Designer, Aquatic, and Fitness), ThermoSpas hot tubs provide a combination of hydrotherapy and fitness. Most models seat 5 to 6 adults, though they also offer smaller tubs for 2 to 3 people and one model that seats up to 12 (the largest tub out of all the brands profiled here). Focused on exercise, their jet-stream hot tubs accommodate equipment that includes rowing machines and grab bars. An adjustable spa seat included with select models also enables you to adjust the spa to your individual height, tailoring the hydrotherapy or low-impact exercise uniquely to you. The name Jacuzzi and the term “hot tub” are often used interchangeably among many consumers. That’s because the company has been in business for more than 50 years and holds more than 250 patents on hot tubs and related products. Their tubs are broken down by seating design, providing seating for 2 to 9 adults in four different categories. Among some of the more impressive developments is a newly reshaped curve design that includes architecturally-placed lighting. This exterior skirt design transforms the hot tub from a large, bulky item to an attractive display of light and design, closely mimicking many outdoor furniture styles. With four unique series available (Select, 880, 780, and 680), Sundance provides a range of small, medium, and large spas within three out of the four categories (the Select Series only offers large spas). All total, you can choose between more than 20 different hot tub designs and seating for 2 to 7 adults. You’ll also find more than 10 shell colors and different cabinet options that come with low-profile LED exterior illumination, lighting the surrounding area safely and stylishly. Sundance hot tubs are notable for their inclusion of an advanced water filtration system that optimizes emergency efficiency. The specially-designed circulation pump doubles the water turnover amount, producing a noticeable savings in energy consumption. Hot Spring hot tubs are divided into four unique collections, Highlife, Highlife NXT, Limelight, and Hot Spot. Within these four categories, you’ll find a total of 20 models that seat from 2 to 8 people, though the bulk of their products are designed for 4 to 6 adults. Hot Spring tubs feature a range of entertainment-enhancing design elements, including illuminated jets and wireless sound systems. But they really stand out in hydrotherapy. Hot Spring is the only manufacturer to offer Moto-Massage (on select models). This unique back massage uses two powerful streams of water to relieve stress and tension as the streams travel up and down your back. Ready to Compare Hot Tub Quotes?